From humble beginnings as a local vet, to being one of the most internationally renowned vets and television presenters Australia has ever produced, Chris’ career over the past 10 years has gone from strength to strength, and it’s only just the start. After graduating from Sydney University with First Class Honours, Dr Chris Brown took up an offer to work in a clinic on Sydney’s North Shore. Yet, despite a busy schedule, he still managed to find time to travel to remote Aboriginal communities in the deserts and islands of the Northern Territory and Queensland to improve the health of animals that had never seen, let alone been treated by a vet. Three years into his veterinary life, Chris was spotted by an agent in a pub telling veterinary stories over a few beers. 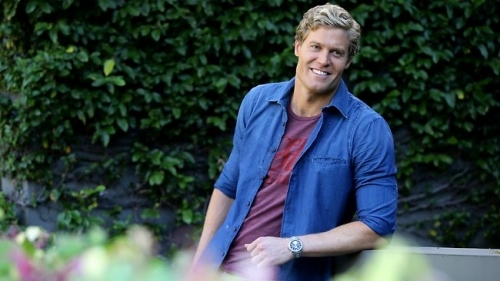 A screen test with Seven Network was the result and two weeks later, Chris began filming as the new vet on Harry’s Practice. His impact was immediate, and was soon nominated for a Logie award for Most Popular New Talent at the 2004 TV Week Logie Awards. In March, 2004, Chris accepted an exciting offer to become the new presenter and vet on Channel Nine’s Burke’s Backyard program where he worked alongside the pioneer of lifestyle television Don Burke. In October 2005 Chris released his first book, The Family Guide to Pets, through Murdoch Books. The book which has sold over 25,000 copies was written to help people make the right decision when choosing a pet; while showing them how to have some fun along the way. 2008 saw no letup in Chris’ schedule. 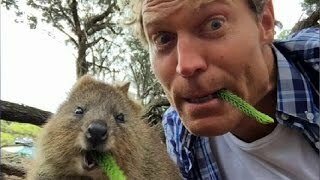 Chris appeared regularly on Channel Nine’s Today Show as well as a presenter on Nine’s Talk to the Animals and was part of Burke’s Backyard comeback specials. Chris also writes the very popular Pet Page in Woman’s Day; Australia’s number one weekly magazine. In 2009 Bondi Vet landed on Channel Ten with Chris as host and star of the prime time program. The show chronicles the adventures of Chris, who lives and works in the beachside suburb of Bondi, and proved a big hit being nominated for a Logie for Most Popular Factual Program. The show proved so popular that it is now shown on Saturday mornings in the United States by the CBS Network, under the title Dr. Chris: Pet Vet. 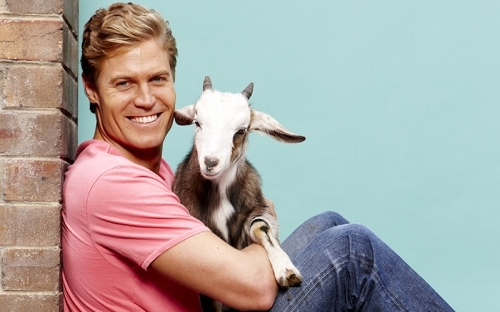 2016 saw Bondi Vet release its eighth season. Not surprisingly, Chris’ success on the show has struck a chord with international markets; with sales to the UK, Norway, New Zealand, Germany, Italy, Belgium, Sweden, Finland, Thailand, Brazil and the Ukraine. 2009 also saw the release of Chris second book, Tales from a Bondi Vet. Chris’ skill set spans beyond his knack with animals. 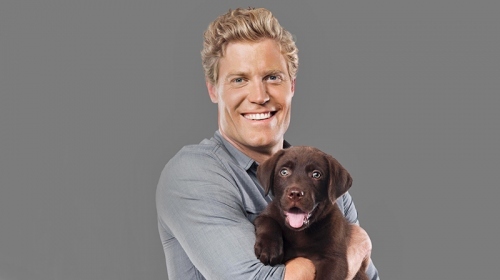 In 2012 Channel Ten decided to take the vet out of Bondi and, between Bondi Vet duties, send him packing on worldly adventures to find content for edgy lifestyle program, The Living Room, of which Chris has been a core presenter since the show debuted. As well as being co-host, Chris presents the travel and pet segments on the program. 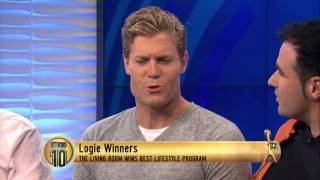 In 2015, 2016 and 2017, The Living Room won the prestigious Logie Award for Most Popular Lifestyle Program cementing the show as one of Australia’s most popular TV shows. Chris is also a guest panellist and reporter for primetime current affairs program, The Project and is the co-host of the Australian version of the international sensation I’m A Celebrity…Get Me Out Of Here, along with comedian Julia Morris. Despite all these commitments however, he remains true to his love of veterinary science, still practicing as a vet in the beachside suburb of Bondi. Adding to Dr Chris’ success, it’s no surprise he has earned respect with fellow Australians; recently coming in towards the top of the Reader’s Digest’s Top 100 ‘Australia’s Most Trusted List’. Chris is an ambassador for Optimum Pet Foods and Canon Australia. Outside of work Chris is kept in line by ‘Reg’ the failed farm dog and ‘Cricket’ the rescue cat.